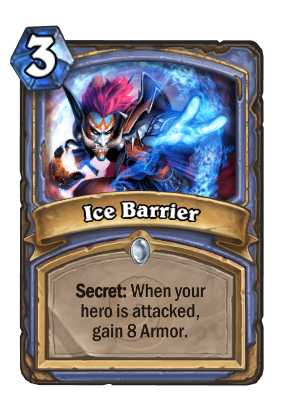 Welcome to HearthPwn's Secrets Calculator! Choose a class above to get started. "HMMMMMMmmmm....." ( - _ -)? 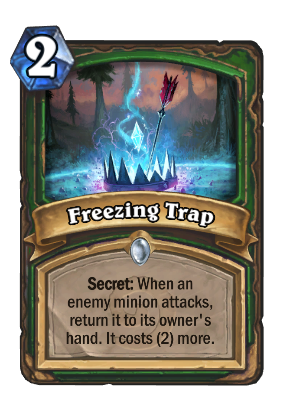 "Goddammet he have a 2nd Freezing Trap, if only i can track their se.... oh wait..... oh.... OOOHHHHHH!!! 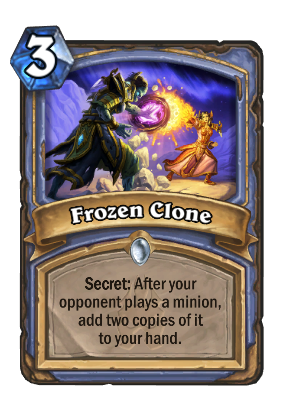 now i understand what's the purpose"
Will this have a separate tab for arena after rotation? 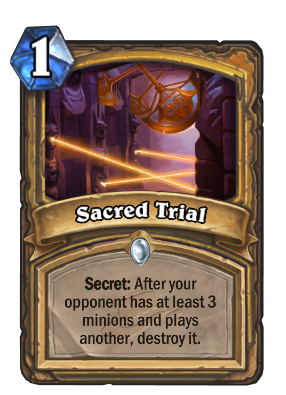 Arena is going to have a different set of cards than standard, so theoretically that means a different set of secrets. At first I was like what the heck is this but now I get it and it could be a valuable tool. 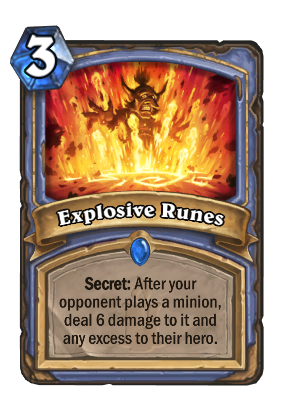 So if an opposing mage or hunter via rhok delar were to create a random spell, could a secret be created? 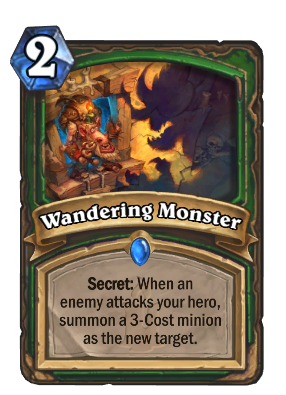 What I am getting at is a third secret that is the same as 2 others that have already been played would pretty much break this tracker, would it not? Secret Plan already breaks this easily. 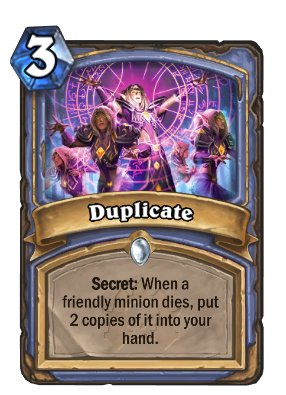 And there's more cards that can duplicate secrets. 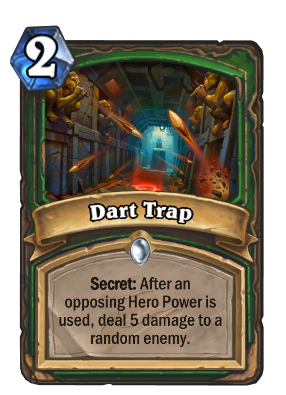 But you can still guess what they did based on what traps are available for the enemy's class. 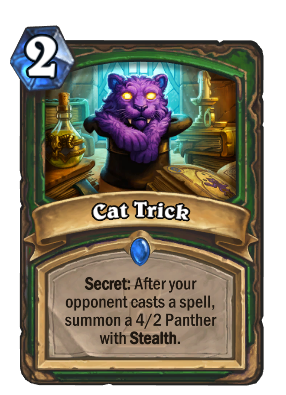 Take Secret Hunter in Standard for example: It generates a random secret from Professor Putricide. What's your move? 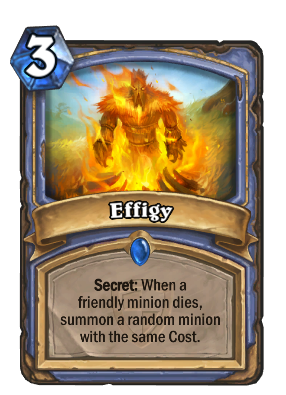 3) Smorc face? 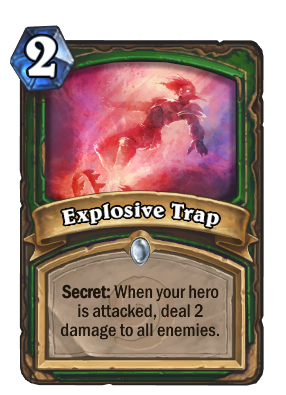 Explosive Trap, Misdirection, or Wandering Monster. (Usually Wandering) Same as above. Still didn't trigger? 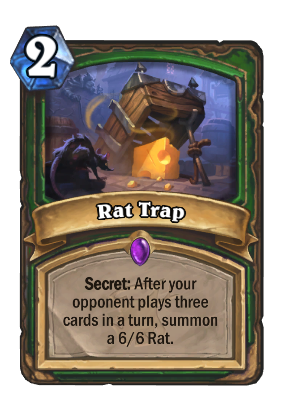 4) It's Rat Trap. Make your 3rd card count. 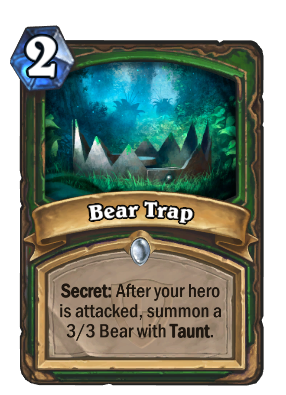 Congrats, now you know what to do with whatever Standard Hunter trap is thrown your way. Noice. Now I feel compelled to do the same for Paladin and Mage, wild versions though, more randomness to look out for. Gonna add some secret trivia to keep in mind too. 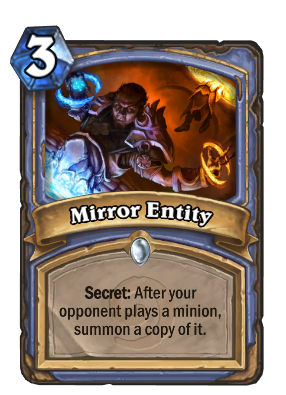 Only one Secret can take effect at a time, and multiple activated Secrets will always take effect in the order in which they were played. 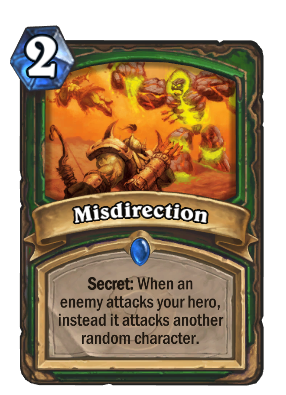 For example, a minion attacking a hunter who has played Misdirection followed by Freezing Trap will be Misdirected before then being returned to the controlling player's hand. This can make the order in which Secrets are played extremely significant. 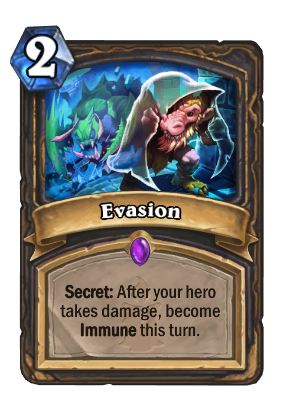 If a Secret removes the specific target for another Secret which was already triggered, the second Secret will not take effect, since it now lacks a target. 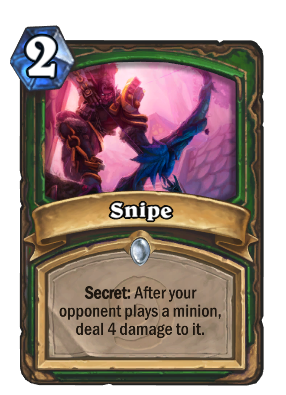 For example, if Freezing Trap removes the minion which would have been the target of Misdirection, the Misdirection will not trigger, since it no longer has a target. 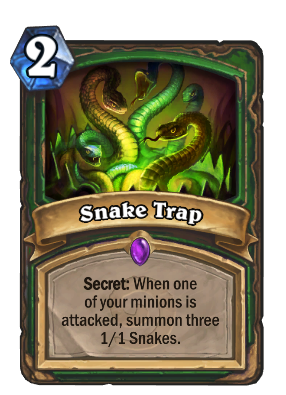 Note that this rule only applies for Secrets which require specific targets; Secrets such as Explosive Trap and Snake Trap do not require targets, and will always take effect once triggered, even if the original trigger minion has been removed from play. 2) Play a Spell? 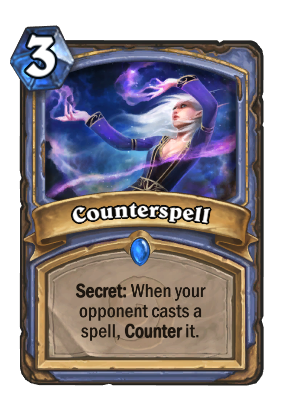 (Or first, or if minion doesn't trigger) Counterspell is common enough, and wastes your spell, so a coin or other cheap spell to trigger it. 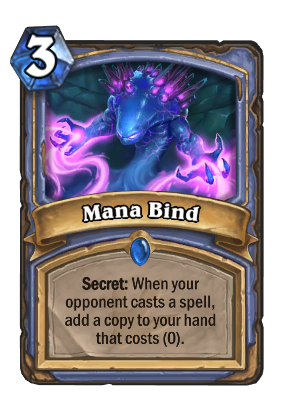 Mana Bind, which is great when you have those niche spells they can't do anything with. 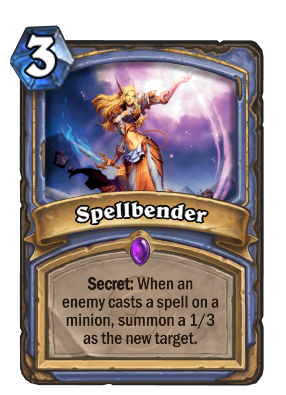 Otherwise Spellbender, so be careful when buffing minions. 4) Face. 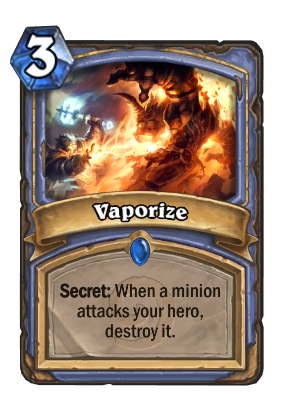 Vaporize, leaving high cost minions alive is a hint, otherwise sacrifice one, or it will trigger Ice Barrier, for that extra bit of survival. 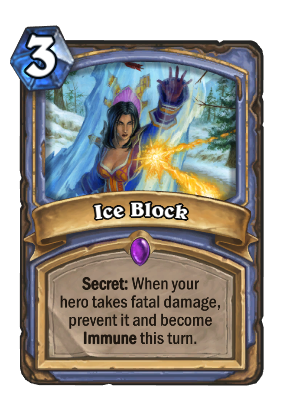 Then lastly, Ice Block , which is a great card to keep up for secret synergy, and the usual care when playing around it when they're low. 1) Play a minion? 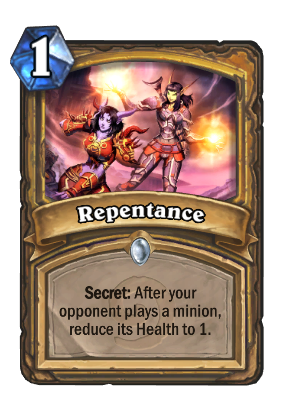 Repentance, so be careful on high HP minions, otherwise Sacred Trial might trigger if you have 3 or more minions. 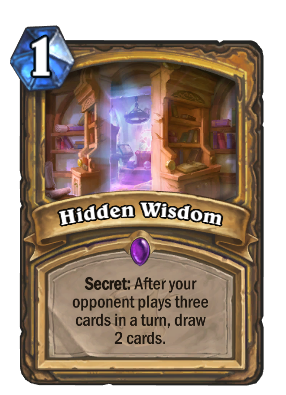 Hidden Wisdom throughout, so keep an eye on number of cards used. 2) Play a Spell? 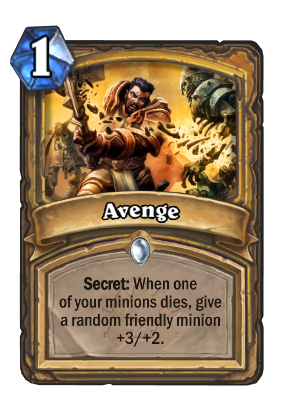 Now, nothing will trigger off it, but killing a minion might trigger Avenge, so aoe to board clear helps, otherwise deal with it. 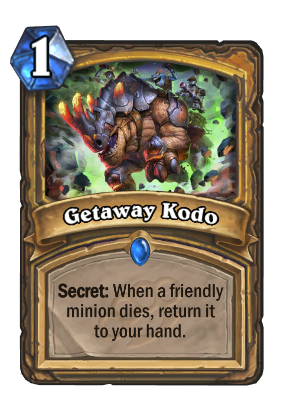 Getaway Kodo is another option, so a morphed minion is screwed. 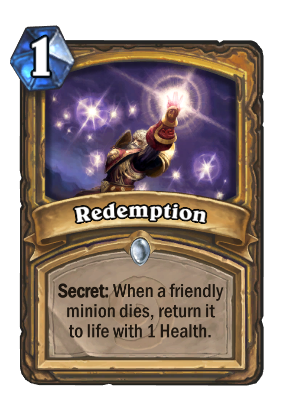 Redemption is the last of this trilogy, all 3 in play can trigger off the same minion dying. 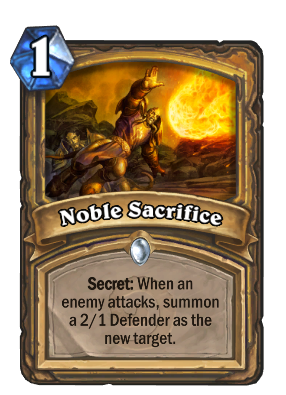 Otherwise the latest secret, and only secret of Shadows, Never Surrender!, perfect to screw with AOEs. 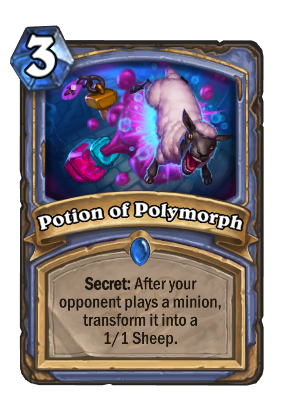 3) Attack a Minion? 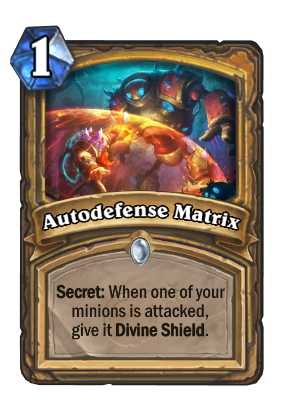 Autodefense Matrix could trigger, IF the minion doesn't have divine shield already, otherwise if Noble Sacrifice triggers, or triggers as well, it will give the defender divine shield IF the first minion already has divine shield. Otherwise there's Redemption to keep in mind again. 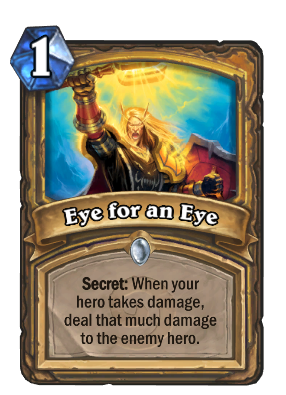 4) Eye for an Eye, or defender again if you haven't attacked yet. 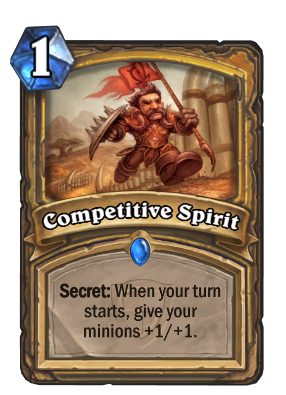 5) None of the above Competitive Spirit, great to confuse your opponent testing the other triggers, enjoy it while it lasts, or suffer the mystery. The standard version just makes me miss Cat Trick. why would you need the calculator to do that? I never knew this existed until now. And here ive been using a pen & paper like a peasant. 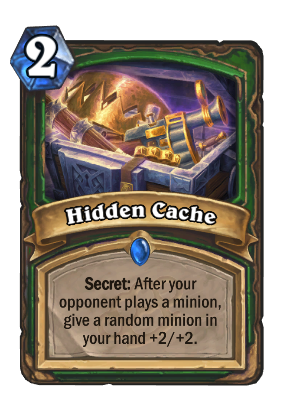 Added cards missing from Witchwood. Added support for Standard and Wild formats. Calculator now defaults to Standard cards. The button "Show Wild" at the top right can be used to swap between the two formats. 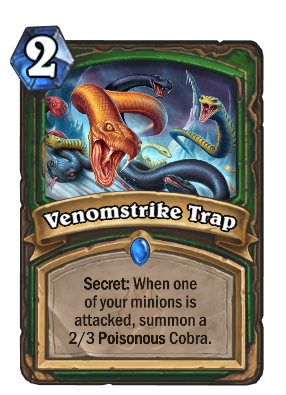 Hyperlink to Rogue now correctly works! Cards are now in alphabetical order instead of being all over the place. Not gonna lie, at first I didn't realize why this was useful. Then I went up against a Paladin in Wild, and I knew. OMG yes thank you! I've been needing this! This just a gimmick? It does nothing when selecting class tabs. Doesn't matter which browser it is nor does it matter if extensions are present. I can confirm this; it's currently not working. 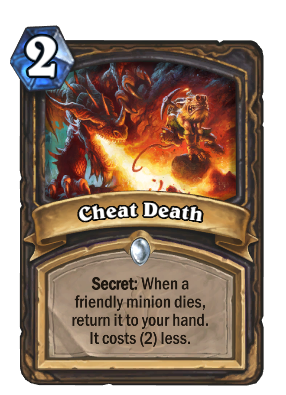 Can one of the Hearthpwn wizards repair this cheat sheet please? Repaired a couple of days ago before this past weekend. 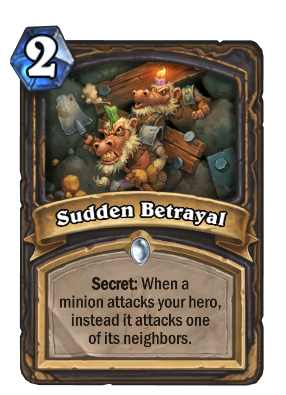 It was one of the only places where we had a script being hardcoded to HTTP which no longer is allowed on HearthPwn due to us using HTTPS for all requests - oops!